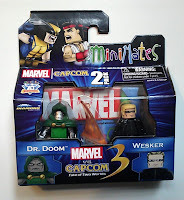 Pretty big week in terms of the collector market as a bunch of new stuff has shipped to comic and specialty stores courtesy of Diamond Select. 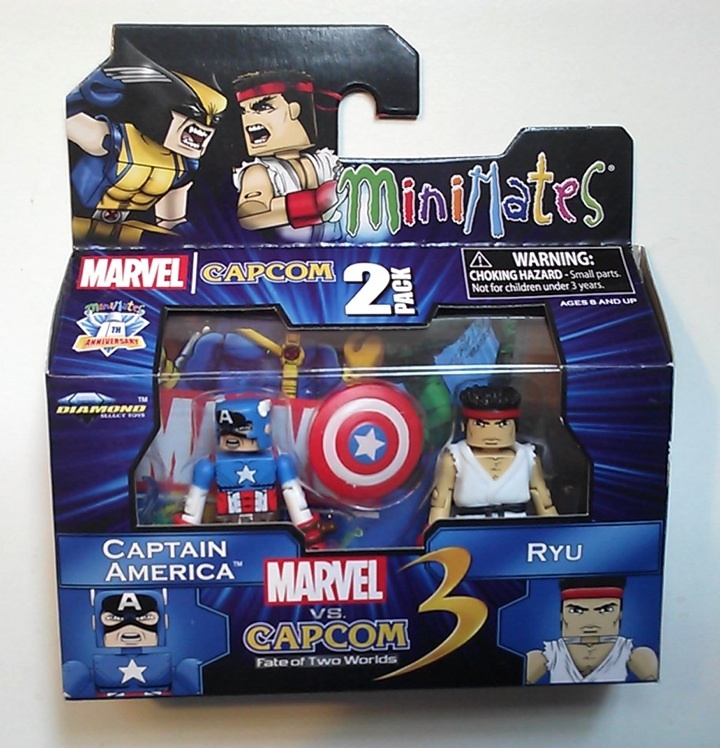 Marvel vs. Capcom Minimates Series 3 These 2-inch-tall gladiators represent some of the most popular characters from the Marvel and Capcom universes: Captain America and Ryu! 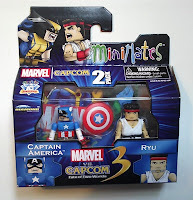 She-Hulk and Chun Li! Doctor Doom and Albert Wesker! X-23 and Felicia! 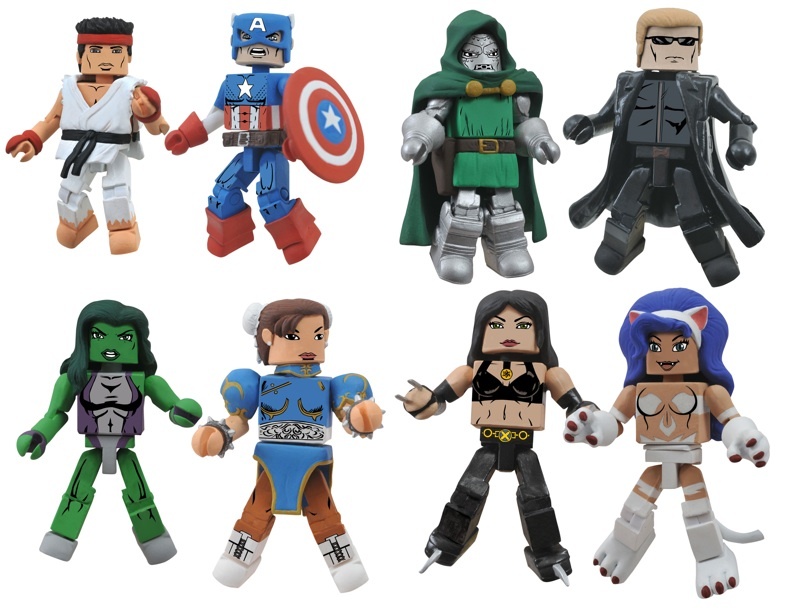 The female characters are only available at comic shops, so be sure to snag your set! Halo Minimates Series 5 Box SetBuild an army of armors with the newest box set in the Halo Minimates line! 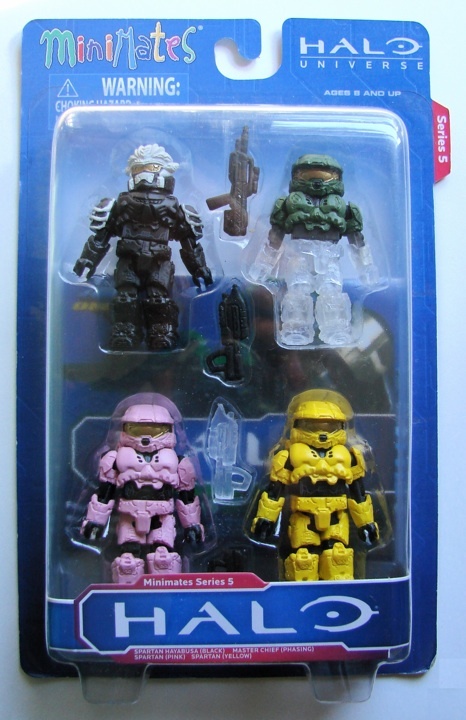 A partially invisible Master Chief, pink and yellow Spartans and a black Hayabusa armor make up the set, so you can draft an entire squad in one fell swoop. Femme Fatales Dawn: ExecutionerThis new 9-inch PVC statue from our Femme Fatales line shows yet another side of that woman for all seasons, Joseph Michael Linsner's Dawn! Wearing her blood-red armor, the standard-edition Dawn will be available everywhere, but check out Hastings stores and gohastings.com for their exclusive purple-and-black variant edition!